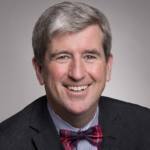 Glen Murray is the Executive Director of the Pembina Institute. Prior to joining the Institute, Mr. Murray was Ontario’s Minister of the Environment whereby he led the development and implementation of the cap-and-trade system, and extended producer responsibility in Ontario. His work was foundational to the creation of the Quebec-Ontario-California carbon market. Mr. Murray served as mayor of Winnipeg from 1998-2004 and as chair of the Big City Mayors’ Caucus. He also served as chair of the National Round Table on the Environment and the Economy, under Prime Ministers Harper and Martin. He started his career in activism as a founding member of the Canadian AIDS Society and has worked internationally, helping establish the World Health AIDS Service Organization’s working group. The Pembina Institute is a non-profit think-tank working to solve today’s greatest energy challenges: reducing the environmental impacts of fossil fuels while supporting the transition to an energy system that is clean, safe and sustains a high quality of life. It provides its expertise to industry and government leaders, and advocates for a strong, science-based approach to policy, regulation, environmental protection and energy development. 1- Right now, Canada is not on track to meet its 2030 targets, however we are making progress, especially at the provincial level. 2- There are two Canadas when it comes to climate change: On one hand, Ontario and Quebec are the only two jurisdictions in North America that are significantly below 1990 emission levels. On the other, emissions are going up in most other parts of Canada. 3- If Alberta retools its fossil fuel expertise into a new suite of low carbon technologies, there is a very exciting future for the province given its incredible competence in energy development. One strategy that could dramatically alter emissions in our nation is the retrofitting of all Canadian buildings as net zero structures. This would not only combat climate change but would also be the biggest job creation project in the history of Canada. How is Canada performing with respect to its international carbon reduction commitments and what has been their economic impact so far? We are not, right now, on track to meet our 2030 commitments in the Paris Agreement. That being said, we have been making more progress recently, especially on the provincial level. Real leadership is emerging in Alberta and British Columbia under newer governments with much stronger commitments to climate change. Even Manitoba’s conservative government – a party that has been hesitant to get involved in environmental politics – is stepping up with a price on carbon. The Quebec and Ontario economies, along with the California regional economy, are probably the three strongest economies in the Americas right now. All three were early adapters of carbon pricing. Toronto is outpacing New York and Chicago in construction. Ontario’s unemployment rate is at a record low after coming out of a recession. In fact, if Ontario were a G7 country, it would be leading the G7 in economic growth. These jurisdictions are proving what is right for the environment is also right for the economy. This high alignment is not just because of carbon pricing either. It represents those jurisdictions that are most heavily invested in the new economy and have implemented the most progressive platform for change. They are reaping the early benefits of higher job growth rates, greater levels of investment in the economy, more direct foreign investment and increased government revenues. California, Ontario and Quebec have seen real growth in their revenues as well, not from growing the tax burden, but by growing their tax base. Overall, there is cause for cautious optimism in Canada. Still, we have a lot more work to do to align our public policy, business leadership and behaviour to achieve our 2030 targets. What is necessary for overall Canadian emissions to begin to decline? There are two Canadas when it comes to climate change. There is Ontario and Quebec, which are the only two jurisdictions in North America that are significantly below 1990 emission levels. Certainly, coal plant closures in Ontario were the most significant contributor to that reduction. In most other parts of Canada, however, emissions are going up. The challenge is creating a carbon pricing system across the country that is rigorous enough to actually deliver results. Can a cap-and-trade system, the litmus test for emissions reduction, have a reduction rate steep enough to meet the federal government’s 2030 targets? If Ontario, Quebec and Nova Scotia, the provinces that use the cap-and-trade system, do not keep their cap decline rates at 3% or 4% they will not meet federal reduction targets. That is much higher than most other jurisdictions that are at a 1-2% range. Ontario’s current reduction rate is 4.3% per year, which is about the steepest in the world. Quebec is going to have to keep a reduction rate fairly comparable to that, as will California, otherwise the cap-and-trade system starts to become greenwashing. For hybrid systems like Alberta or tax systems like Manitoba, the tax per ton rate will have to be in the $70 to $90 range according to economists like Dave Sawyer. It would certainly have to be much higher than the $50 floor price backstop the federal government has implemented. If you only have a $10 to $30 carbon tax that is essentially greenwashing too, because you have a tax but it is so light it is inconsequential. Part of the challenge with the carbon tax system is you have to have politicians set the rate. In a cap-and-trade system, you can get reductions at $18 or $20 a ton because you have a cap and cap decline rate. But with a tax system that does not have a cap, you are relying only on price to drive reduction. That means a very significant spike in gas prices, which is very unattractive to politicians. Outside of Norway, there is no legislature or parliament in the world that has come anywhere near setting a tax rate high enough to make a difference. In order for either of these emission policies to succeed, provincial governments and the federal government must be held accountable for cap decline rates and for tax rates that are sufficient to achieve national emission objectives. How would you define Alberta’s approach to emission reduction and what can Alberta learn from the experiences of other jurisdictions? One smart thing that Alberta did is having a carbon price in place before closing its coal plants and moving them to renewables. This contrasts with Ontario, where there was the challenge of being a leader and taking risks by doing things first in emissions policy. Ontario did not have the experience of others to learn from and that is why I have such huge respect for the work that Dalton McGuinty initiated and Kathleen Wynne continued. Ontario stepped up with the first big action on GHG reductions and closing coal plants, but there was not a carbon price in place or a cap-and-trade system. If a cap-and-trade system was implemented in Ontario first, the municipality could have sold those coal plant closures as reductions in the marketplace and brought in capital from outside Ontario to pay for them. When you do not have a pricing system, you are relying on your rate base to pay for those closures and you can see significant upward pressure on electricity rates. Alberta learned from Ontario and other jurisdictions, it put its pricing system in first and is now running on coal plant closures with a hybrid system. There have been some interesting discussions from the Alberta government about how this process gets funded so there is not upward pressure on electricity rates in Alberta as a result of renewables. Alberta has also been showing real climate leadership with significant renewals and more sophistication around the question of natural gas. Natural gas has very little carbon intensity and is usually from covered sources like landfills. At the other end, you have carbon and methane intensive natural gas being fracked in the United States. This type of natural gas has a huge carbon footprint. In fact, some people have suggested that that the carbon footprint from fracked natural gas is second only to coal in how bad it is as a source of GHG emissions. We are doing work right now in Quebec with some of the private sector companies around trying to determine the amount of carbon intensity in different sources of natural gas. Natural gas is going to be a difficult issue but there is a lot of good work going on right now in Alberta to try and understand the complexity of the questions around it. How do you envision the future of the Canadian oil and gas industry as Canada aims to reduce its overall emissions? The idea that there is endless growing demand for oil sands or for conventional oil products is not true. However, oil is still going to be needed in the economy of the future. Ironically, in some ways, oil and gas products such as the polymers and the plastics in products are critical to a lot of carbon neutral and low carbon energy technologies. There will be uses in the future for oil but they will be much different than they are today. We are coming into a period of incredibly disruptive technology around hydrogen, electrification, electric motors and battery storage. It is an era of dynamic change where the long-term future for oil and traditional fossil fuel products is pretty limited and managing that transition is really important. Alberta and Ontario are recognizing the economic opportunities that come from this new energy economy, including carbon utilization. In industries like cement, carbon dioxide is now pumped into the cement to improve its quality. You can put up to a ton of carbon dioxide as an input into cement products, making the product better and more valuable. One of the unique things about Alberta’s economy is the development of the oil sands. It was probably the largest deployment of private and public capital and technology in Canadian history for the development of a massive source of energy. While it has created some significant environmental challenges and problems, it also speaks to Alberta’s extraordinary engineering expertise. The scale of what was achieved with the oil sands is indicative of the level of public sector capital mobility, private sector investment and deployment of technology and talent that has to be repeated for low carbon technologies. If Alberta retools its fossil fuel expertise into a new suite of low carbon technologies, there is a very exciting future for the province given its incredible competence in energy development. What is the role of Pembina in the Canadian environmental movement today and what area would you highlight as a solid environmental win Canada should focus on? In the federal government, I chaired the National Round Table on the Environment and the Economy, under both Prime Minister Harper and Prime Minster Martin. That was a fascinating experience because the National Round Table played a leadership role in building Canada’s position in COP 10. Before Paris, it probably was the closest COP we had to actually getting a breakthrough for climate policy. I was interested in coming to Pembina particularly because it is such an evidence-based organization. It is staffed intensely with economists, planners and engineers, and it works from a very rigorous standard of research and data. Pembina is a very unique asset in Canada because many of the other environmental organizations are more advocacy or education based. Very few of them in Canada, unlike the US and Europe, are research intensive. Our role is to work with organizations on identifying structural challenges to achieving greenhouse gas emissions reductions or improving air quality or other environmental goals. We then try to work with those organizations on solutions. Pembina works at both a macro policy level as well as a technical level in developing technology solutions for private and public sector organizations trying to achieve emission reductions. At Pembina, we understand the future of the Canadian environmental movement comes with a lot of challenges. Not one environmental organization in Canada has the ability to carry the freight on these big issues that we are confronting: loss of biodiversity, protection of lakes and rivers, the protection of the Boreal Forest and ecological restoration. One strategy that could dramatically alter emissions in our nation is the retrofitting of all Canadian buildings. Creating the mindset that we have to retrofit every single building in Canada as net zero structures to combat climate change would be the biggest job creation project in the history of Canada. This is an investment that reduces the cost of living in those buildings or the cost of operating commercial buildings because it makes them energy efficient. It eliminates pollution, it eliminates greenhouse gas emission and all the money you are investing in retrofitting those buildings is mostly going into jobs because you are not building new buildings with additional raw materials. In fact, the project would pay for itself because the capital cost of retrofitting and improving these buildings is absorbed in the lower heating and cooling costs in those buildings over time. Retrofitting buildings would be one of the biggest job creation programs for skilled labour and it is completely exportable globally for the next 200-300 years. I am quite surprised that there has not been a group of politicians in Canada that have embraced this idea. When someone running for office in Canada pushes the building retrofit platform as a creator of more jobs than any other private or public investment, that is when things starts to change. If you get the environmental community more singularly focused on the economic benefits of fighting climate change, it would be a significant breakthrough for Canada and the world.